Facebook COO Sheryl Sandberg's husband, Minneapolis native Dave Goldberg, died unexpectedly two years ago. "He was proud of his Minnesota roots, he talked about them all the time," Sandberg said during a Thread event, held June 9, 2017, at the Fitzgerald Theater in St. Paul. Goldberg was kind, funny and had the ability to impact people's lives in memorable ways, she said, but after he died many people who also had connections with him shied away from speaking to Sandberg about the loss. "I understand this, because I used to do it too," Sandberg said. When people try to avoid topics of loss or strife it's often because they aren't sure what to say, or because they don't want to bring up painful memories, she said. "Let's be clear, you can't remind me Dave died," Sandberg said. "If you walk up to me and say 'I'm so sorry for your loss,' I'm not like 'Oh! I forgot.'" When we don't speak about these problems, we pile isolation on top of someone's grief, she said. In order to help those you love in their time of need, you need to acknowledge their pain, let them know they won't get through it alone and that you are there for them. You should also avoid telling them everything is going to be OK or asking what you can do to help because it shifts the responsibility on them, Sandberg said. And as you deal with the stress of your own loss, remember it is also an opportunity to grow, she said. "I am a different person," Sandberg said. "I am sadder, I am stronger, I have more perspective and I've grown in so many ways." While she would give up all the knowledge and growth from after her husband's death for just one more day with him, Sandberg said post-traumatic growth is an important part of healing. That is what her book, "Option B: Facing Adversity, Building Resilience and Finding Joy," is all about. 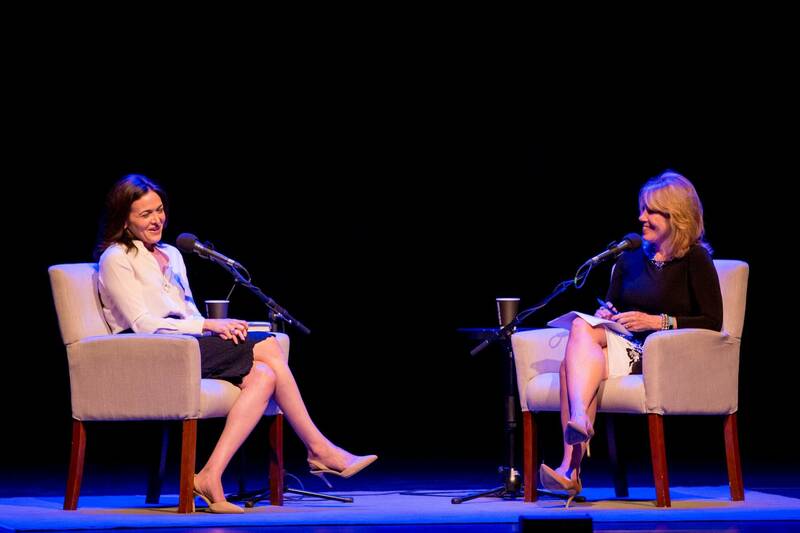 MPR host Kerri Miller interviewed Sandberg as part of The Thread Book Hour event. To listen to the event, click the audio player above.